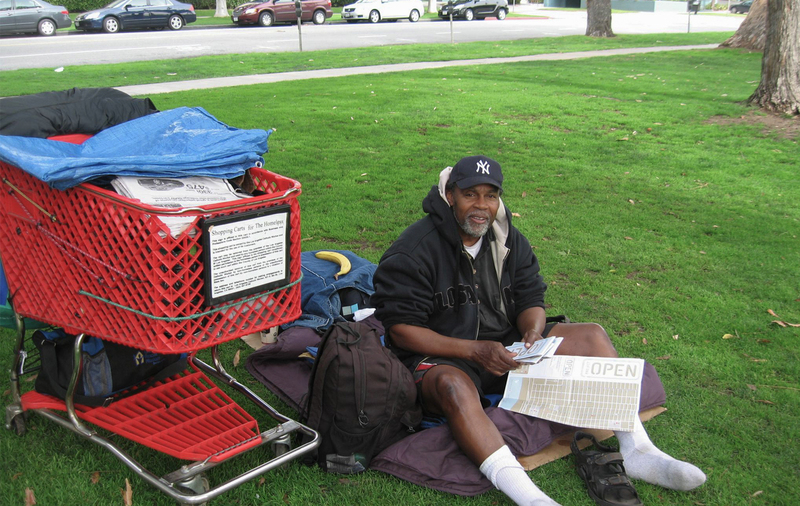 In 2005, Santa Monica was home to an estimated 2000 homeless people. There were dozens of organizations available to help them, and as we got to get to know the homeless population through a photography project, we realized that the organizations would be useful to them — the problem was there that there wasn’t an easy, clear way to know about each resource. There was also no easy way for organizations to keep track of what they were each doing. When one homeless shelter was full, it was not simple to work with a nearby one to accept someone needing help. 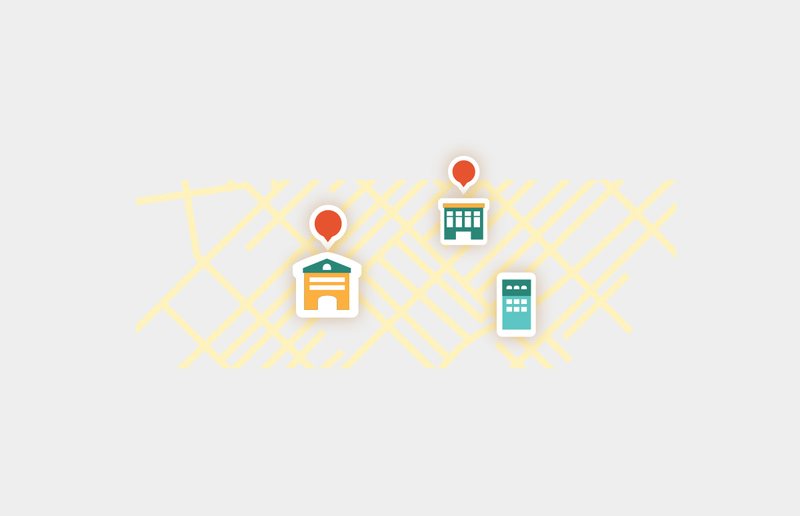 We decided to design physical maps made for homeless people to easily find where they could get help in their neighborhood. This included employment agencies, housing resources, legal and medical services, and more. We also showed them how to use public transportation to get to each. 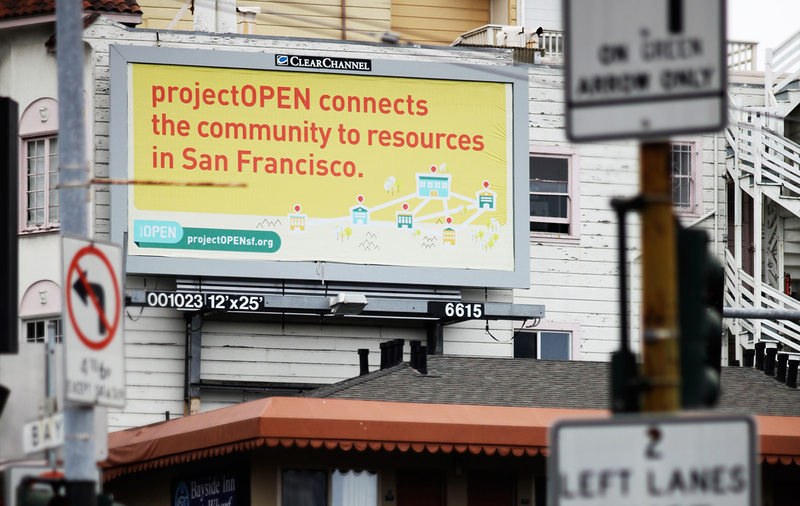 projectOPEN connects homeless to local resources. This included employment agencies, housing resources, legal and medical services, and more. 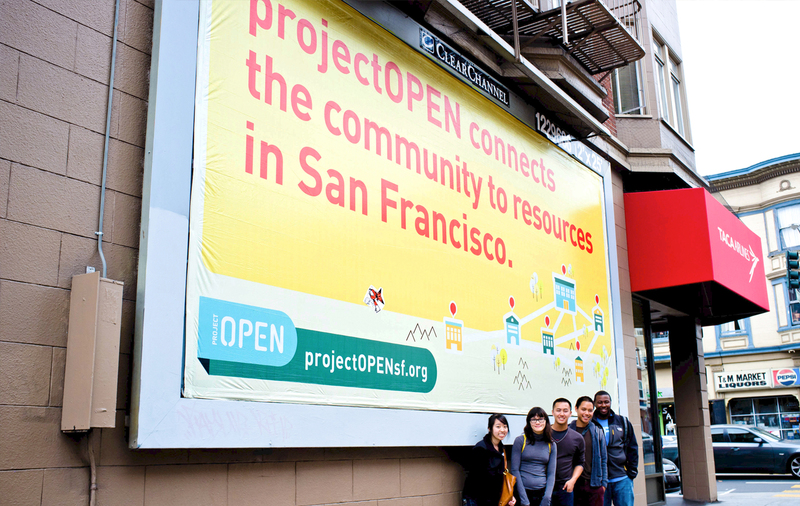 projectOPEN connects organizations and people, building community. 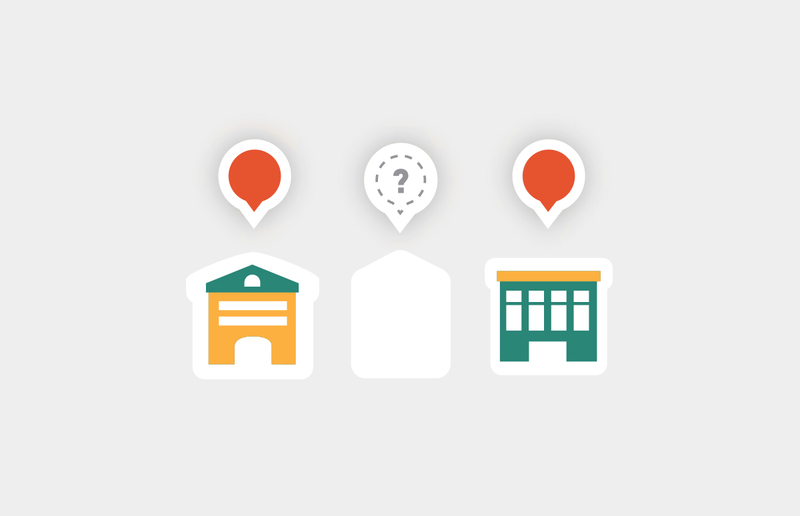 Each city map is accompanied by a sticker sheet. 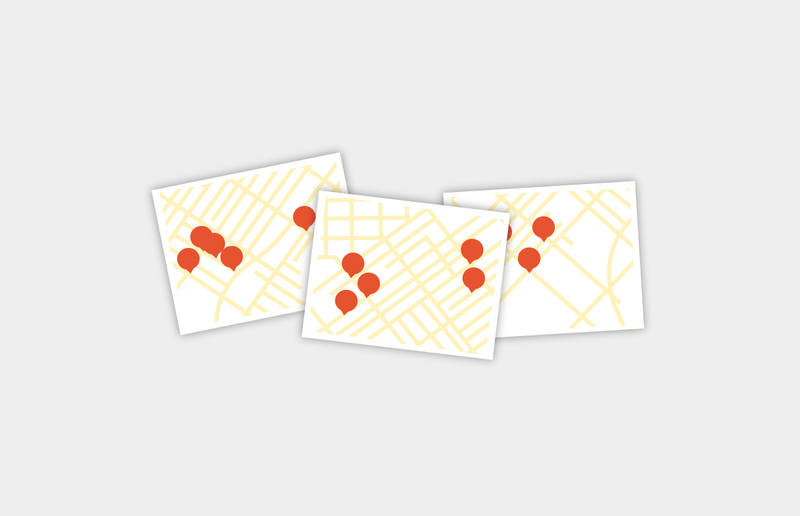 Stickers are applied to the map, identifying points of interest. 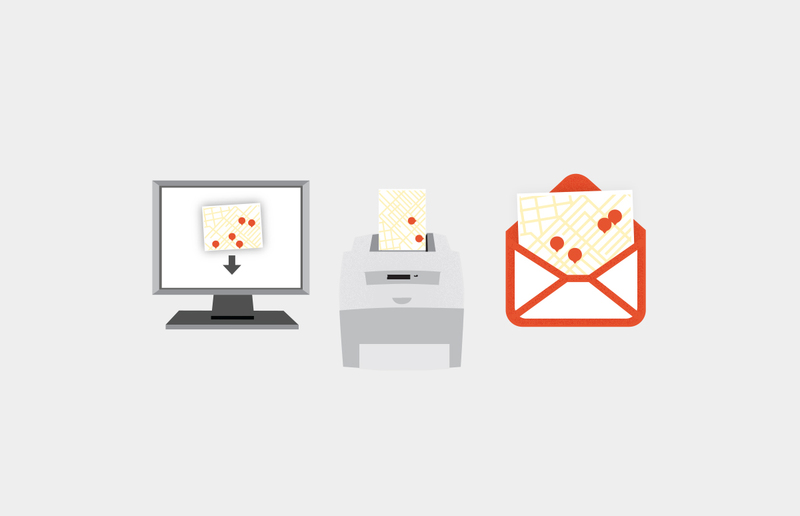 Distributing the maps to homeless people was just as important as creating the maps themselves. So we partnered with the City of Santa Monica and the local city bus Big Blue Bus to pass out 5,000 maps along with kits that showed how to use them. We also created signs so that businesses and other resources would be easy for homeless people to spot from the street. The project was honored by a design award from American Institute of Graphic Arts. 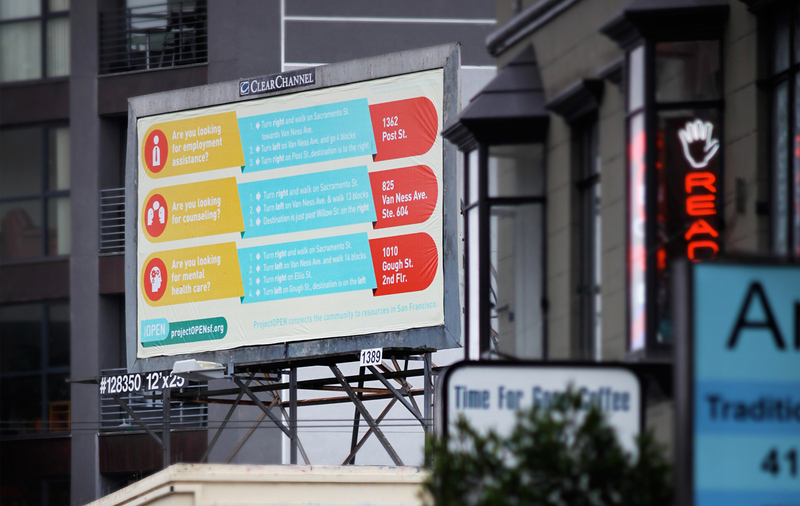 We decided to expand the project to a second location: San Francisco, where an estimated 2,500 homeless people lived. San Francisco experienced many of the same challenges as Santa Monica. This time, however, we tried to create a way to reach more people. 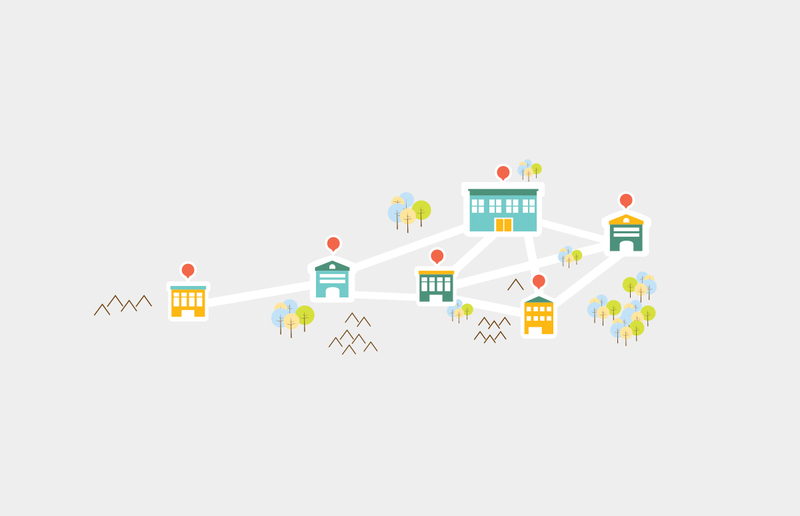 Second, we created an online version of the map that social workers and other services could use to create and print a map customized to the needs of the homeless person. To date, 4,017 people have visited the site, collectively generating more than 5,900 pageviews, according to Google Analytics. Visitors came from 97 different countries around the world. Sixty-two percent were from San Francisco, spending on average over five minutes, learning about resources available in their area. Almost 17 percent of users added at least one resource to their personal “My Guide,” 27 percent of which were for housing resources and 18 percent of which were for medical resources (the two most popular categories).